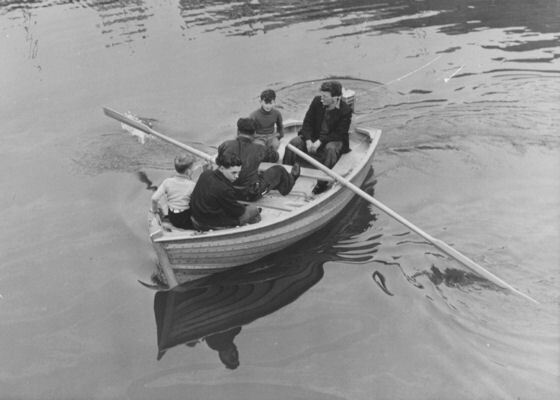 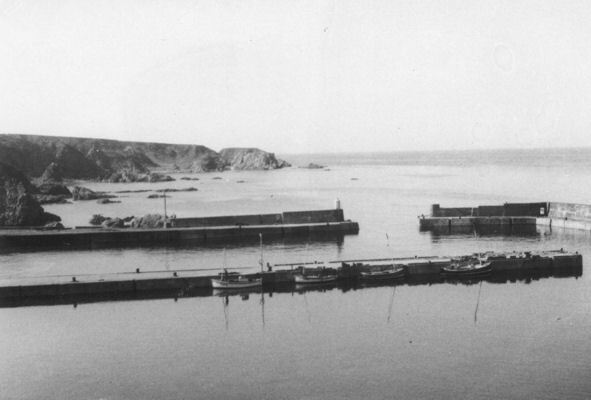 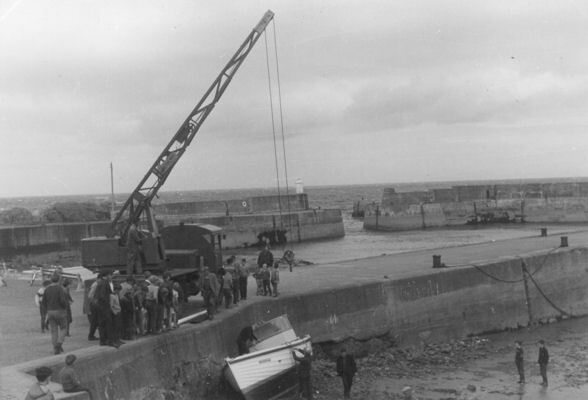 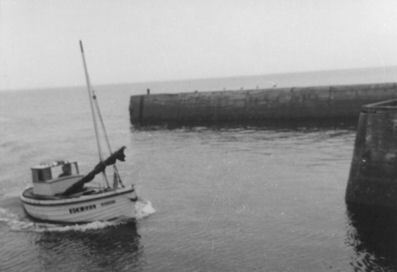 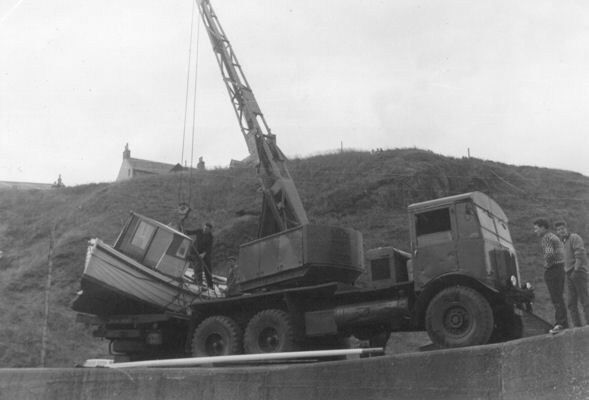 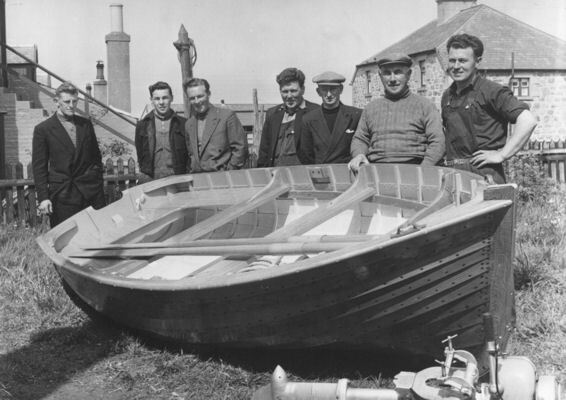 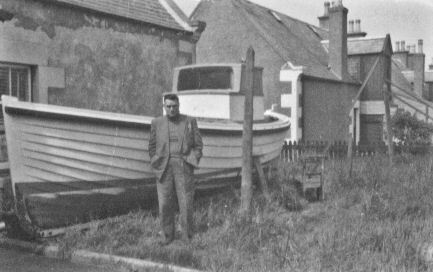 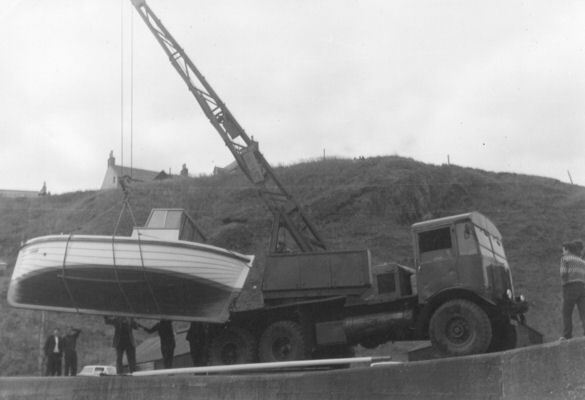 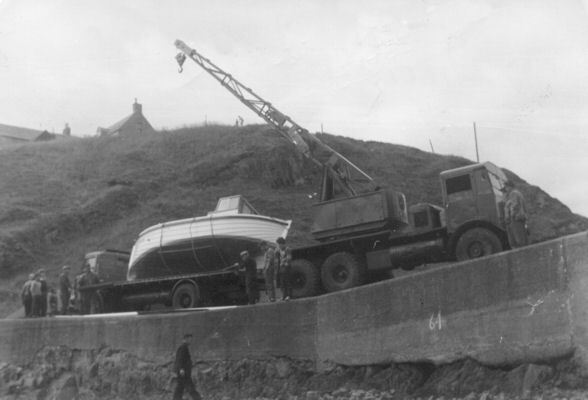 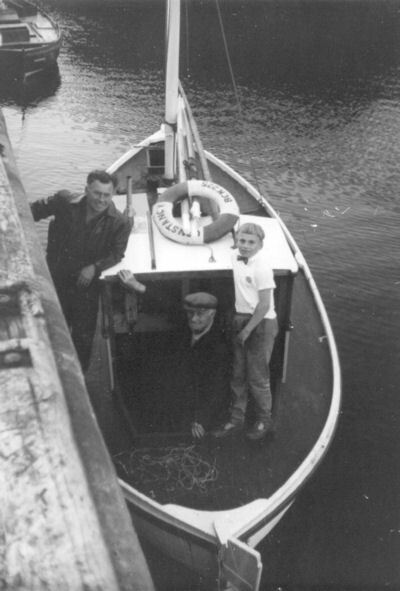 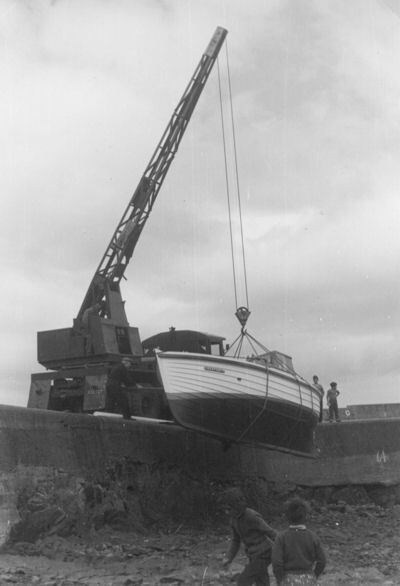 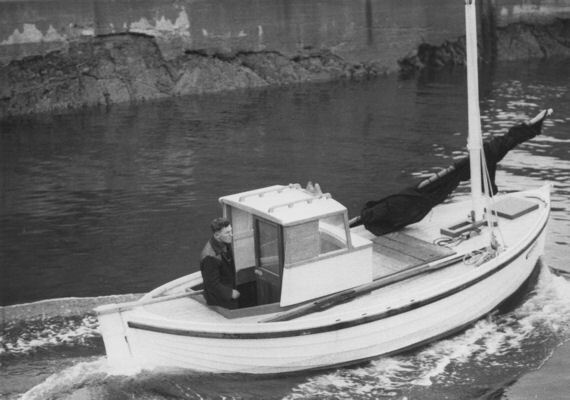 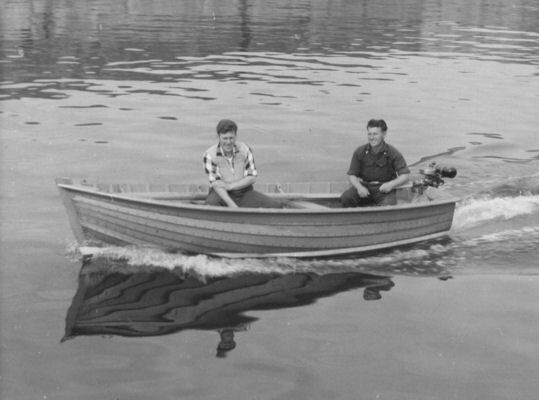 Few, if any, residents of Portknockie now will recall small boats being built in the back yard of our Pirie family home at 28 Seafield Street. 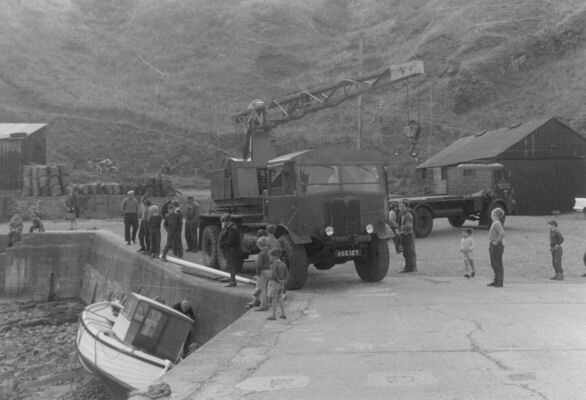 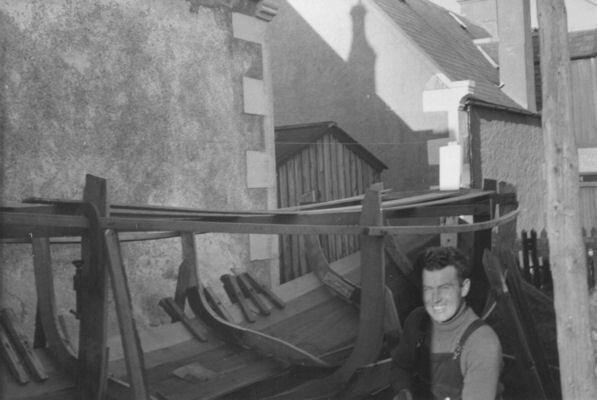 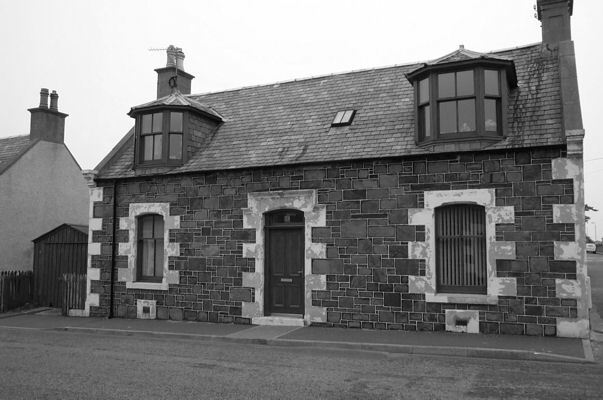 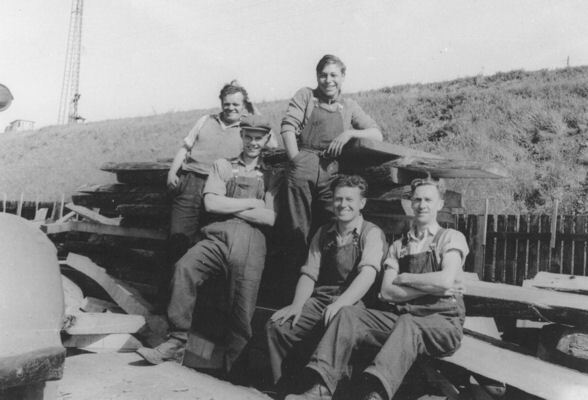 Our uncle, William Lewis Pirie, was a carpenter and boatbuilder, and continued to live at 28 Seafield Street, Portknockie until he emigrated to Australia in December 1968. 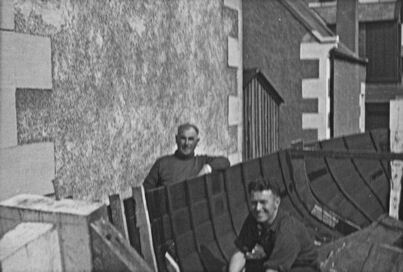 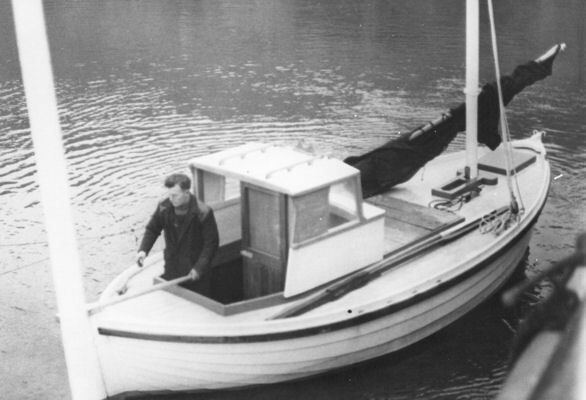 William worked at the Herd & MacKenzie Shipyard in Buckie, mostly in the lofting shed where the boat designer's scale drawings would be read and the component parts 'lofted', ie drawn out full size to create patterns for the parts, which were usually curved, often in three dimensions. 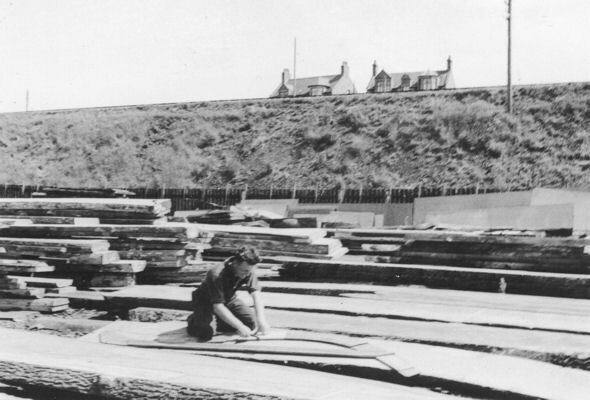 Lofting tables (tables of offsets) were used to mark out the points of the required curves so they could be drawn. 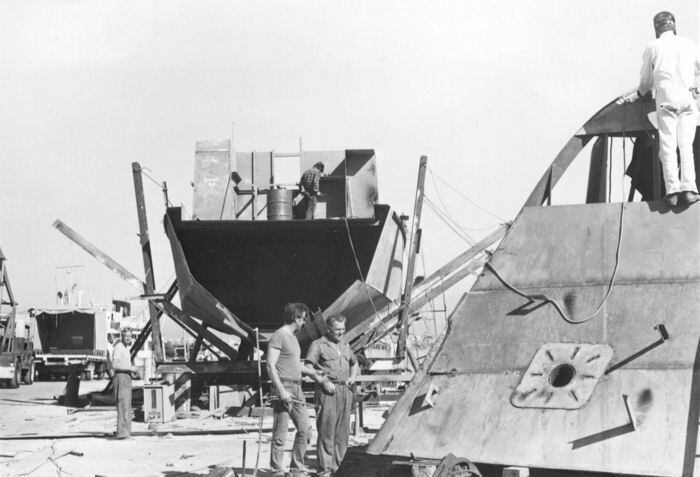 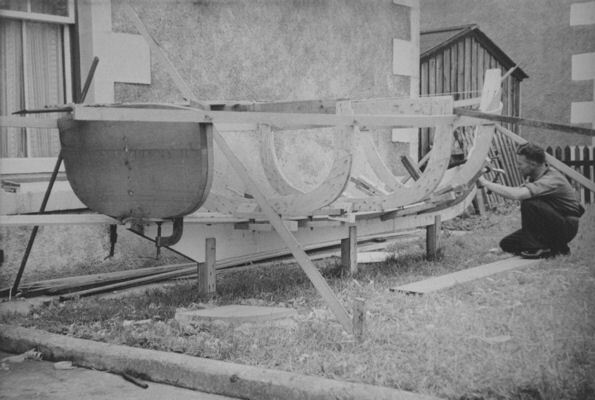 Once the components had been lofted, the boat builders could cut wood to the shape of the patterns ready for the build. 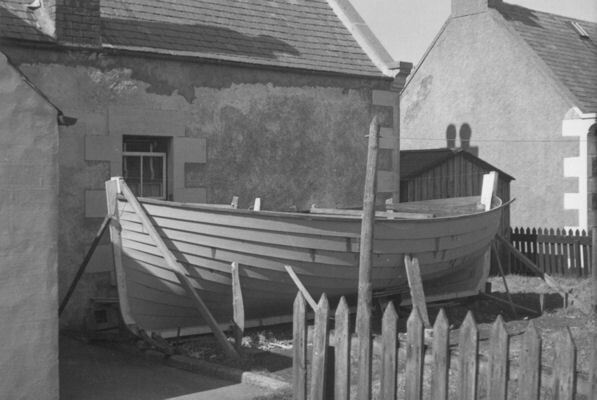 In this YouTube video, Herd & MacKenzie Boat builder's Buckie, the lofting shed and some of the wooden boat building activities can be seen. 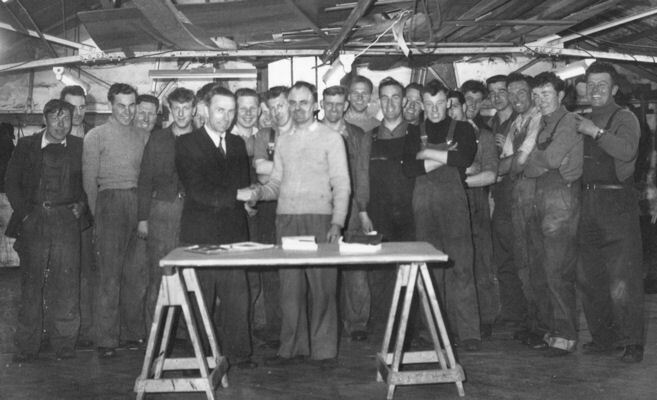 He also taught a Shipbuilding Drawing class at Buckie Further Education Evening School. 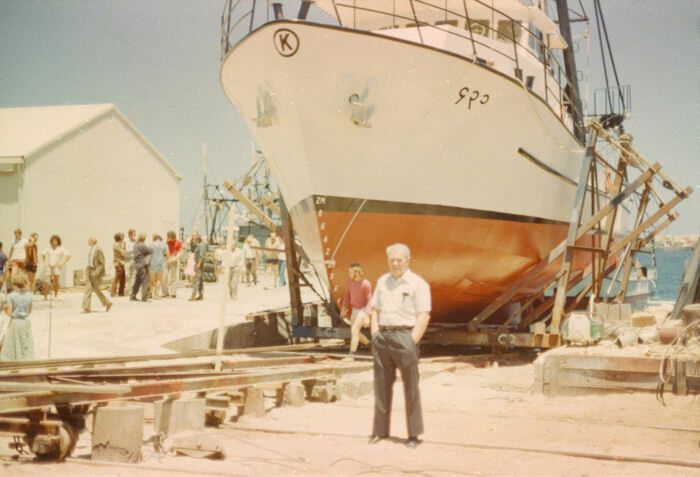 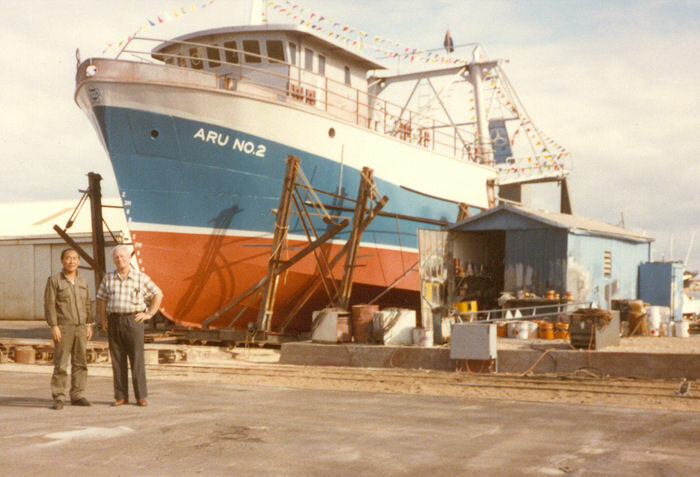 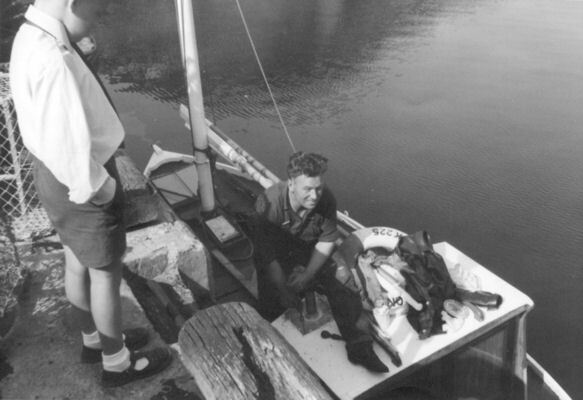 After emigrating, William worked as a boat designer at Dillingham Shipyards (WA) Pty Ltd in North Fremantle, Western Australia. 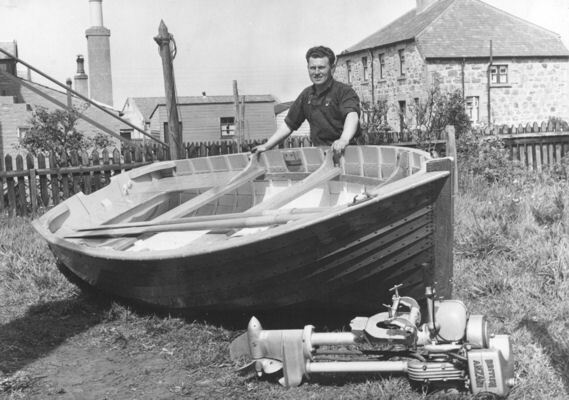 Here are some photographs of William's activities, including building small boats in the back yard, and launching and sailing them at Portknockie Harbour. 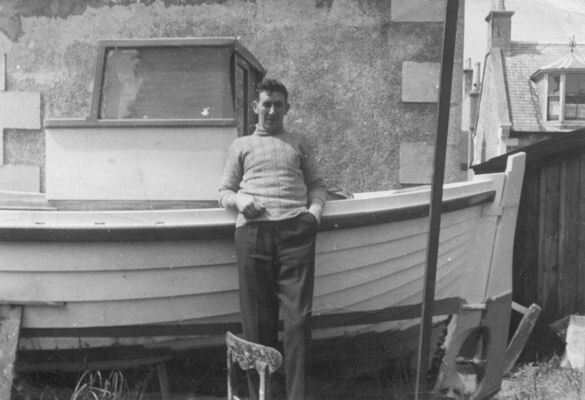 We hope you liked our photos.